You are here: Home / Great Deals / Kitchen Appliances Just $9.99! Down From $45! 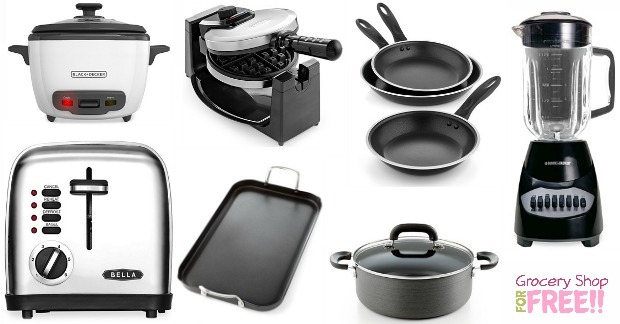 Kitchen Appliances Just $9.99! Down From $45! Right now thru 10/30/16 Macy’s is having a very nice sale! You can pick up any of the kitchen appliances below for just $9.99 and choose to pick it up in store for FREE shipping! These items are normally $45, but with the sale and this $10 rebate you can get them for just $9.99 each! Just purchase any of the items below for $19.99 and then submit, by 10/30/16, for your $10 rebate – that makes them each just $9.99!